Author: Wajuppa Tossa, with Kongdeuane Nettavong. 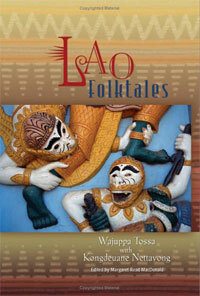 Wajuppa Tossa and Kongdeuane Nettavong have collected Lao folktales from Laos and from Isaan, the Lao-cultural area of Northeastern Thailand. Editing and folklore notes by MacDonald.